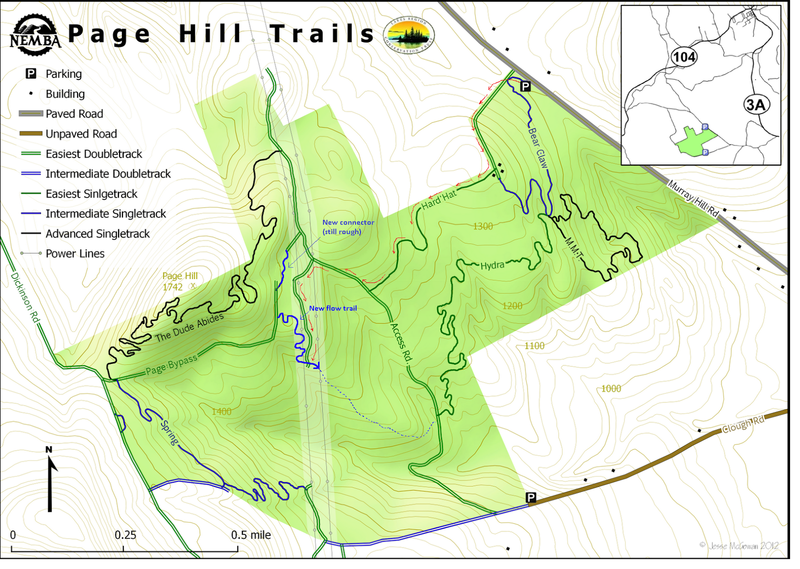 This map below shows the new flow trail. Solid blue line for completed section (as of this morning) and dotted line for the section remaining to be built. The quickest, but not the most fun, way to get out to the new trail is shown with red arrows. This will bring you to the bottom of the completed section of trail. From there you can ride or push up to the top. We have two more weeks to use the excavator. We need a hand-work and test-ride crew behind the machine keeps us moving forward. We'll be out there most days for the next two weeks at various times of day. We expect to be out all day for the next two Sundays. We have a good collection of hand tools out there. Get in touch if you'd like to come help out!